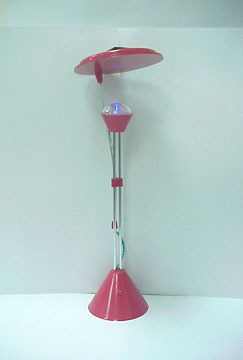 - Push the button to turn it on, it will charge the power from sunlight or strong light automaticaly. - When absent of the light or too weak conditions, the LED will be lighted automatically. - In standard sunray, 5 hours will be fully charge. - After fully charge it will be lighted on for about 50 hours. - You can choose blue,white,orange,red or green colors LED.